Based on direction, story, and overall scare effect, these are the best horror flicks in cinema. I've been a fan of horror films for many years, and I've probably seen more than 2000 movies in the genre. Some I've despised, and some I bought on VHS to watch over and over again, and then replaced again with DVDs. Some movies I've owned in multiple formats as the years and the editions changed, and some movies were so bad I couldn't sit through a whole hour of them. With great direction and most original soundtracks, the cream rises. I've sifted through the collection and here the list of the 20 best horror movies. 20 - Curse of the Mummy's Tomb (1964) Spooky direction, lighting and sound. 19 - Phantasm (1979) Beware the tall man, and the sphere of death. 18 - The Shining (1980) Jack Nicholson in Kubrick's adaptation of Stephen King's novel. 17 - Haute Tension (2003) A French film about a serial killer stalking two girls, with a twist ending. 16 - The Omen (1976) The first of this trilogy really is effective horror. Whenever a child is the villain, it's creepy. 15 - Psycho (1960) Alfred Hitchcock's thriller about Norman Bates, the pychotic killer. 14 - Alone in the Dark (1982) Starring Donald Pleasance and Jack Palance, 4 inmates escapes an insane asylum during a power outage, and go after their doctor. 13 - Night of the Living Dead (1968) The classic is still very compelling. 12 - Ginger Snaps (2000) Hot girls and werewolves go together like peanut butter and chocolate. It's about two sisters, and one is changing into something less human. Give this one a chance on your next DVD rental night. 11 - The Devil's Backbone (2001) Directed by Guilermo del Toro, this is a prequel to Pan's Labyrinth. An excellent tale of a haunted orphanage. 10 - Creature from the Black Lagoon (1954) An early b&w movie in 3D! This was the scariest water creature of its time, and it holds up even today. Very creepy direction made this an incredible film. 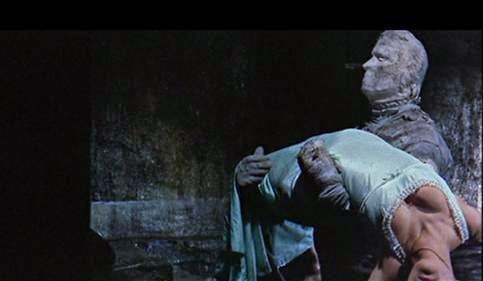 I would like to see the monster from the Korean movie The Host team up with the Black Lagoon's Creature in a sequel. 9 - The Howling (1981) The best of the werewolf films, the Howling would set the pace for the next 3 decades of werewolves in movies. The original spawned 4 sequels, but this first one is a classic. 8 - Ju-On (2003 original Japanese movie) Creepy. Enough said. The US remake was nothing by comparison. 7 - Friday the 13th (Original 1980) The first of the 11 Jason Voorhees movies was brilliantly directed, and had a great twist ending. Kevin Bacon makes his first big screen appearance. 6 - The Thing (1982) John Carpenter captures a large part of my list, because he was a genius of the 80s. In The Thing, a group of scientists uncover an alien ship that's been frozen for centuries, and an alien creature crawls out. Great use of sound, effects and eerie settings. Kurt Russel stars. 5 - Jeepers Creepers (2001) A surprise hit, this movie was genuinely frightening. It's set-up was original and well done. The writing, direction and acting all come together nicely. 4 - The Fog (1980) The original (not the recent remake) was a masterpiece of modern horror. The tale is of a ghost ship carrying past residents of San Antonio bay, coming back for revenge. The music was inspired and the suspense builds perfectly. 3 - Pumpkinhead (1988) Special effects guru Stan Winston (Alien) directed this great movie about a creature that can be summoned to right a wrong. The witch Hagus is great with her raspy voice, and the creature itself is well articulated. Use of blowing leaves and creepy night sets proves Stan Winston as a very effective director. 2 - John Carpenter's Halloween (1978) The ultimate slasher film, this movie even got critical acclaim (something rarely earned by horror movies). The use of a sharp penetrating soundtrack and suspense building on top of each scene, higher and higher, bring this movie to the top. It's a great milestone of modern horror. Donald Pleasance and Jami Lee Curtis fend off Michael Myers, a psychotic kid who started his spree years earlier, and now has escaped an insane asylum to come back for his sister. 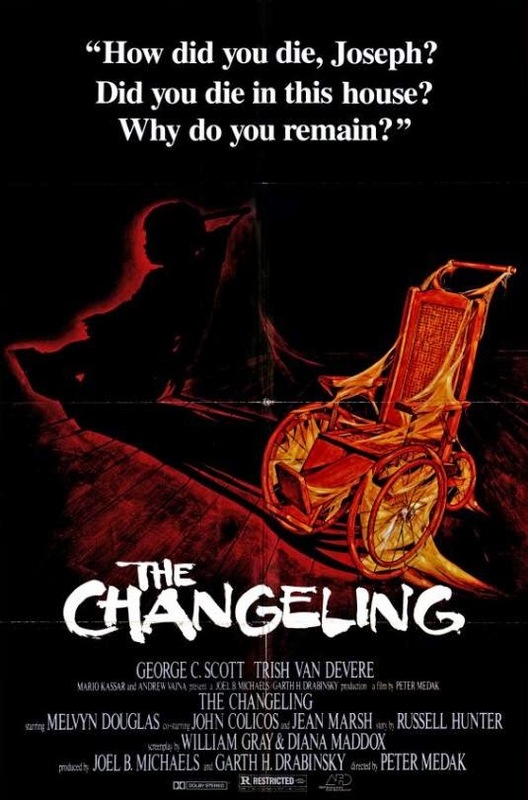 1 - The Changeling (1980) Few have heard of it, or seen it, but this movie starring George C. Scott and Trish van De Vere is a sharp ghost story. George moves into a secluded mansion alone, and is contacted by a boy who was murdered for profit 70 years earlier. The séance scene is especially disturbing, and use of piano, child's ball and the child's wheelchair are brilliant. If you can find it on DVD, give it a view. You won't be disappointed. Now you have a good list for your next horror movie night. The popcorn is up to you... and yes, popcorn is mandatory!